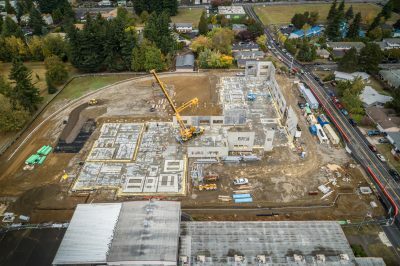 Significant progress is underway at the North Gresham Elementary School site. 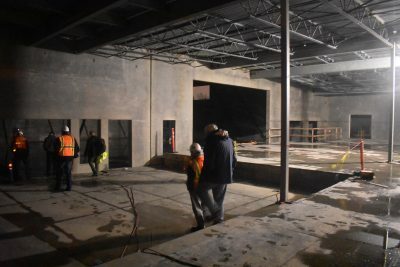 The interior walls have been framed, and the covered play area, covered walkway, and ball walls (for recess games) are complete. 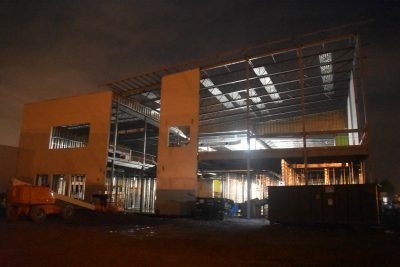 Crews have begun to install the outer brick facade, and the interior drywalling will begin in the next few weeks. 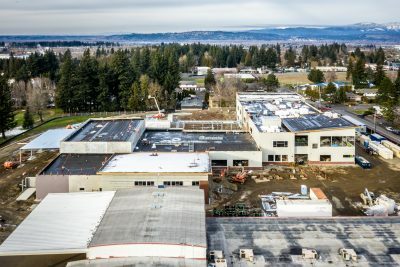 Here are some photos taken by Bremik Construction’s drone photographer. 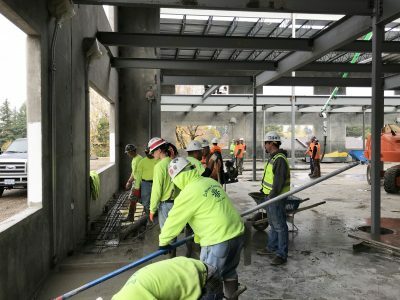 Concrete slabs for the first floor are completely installed, and we are continuing to connect the walls together with steel beams. 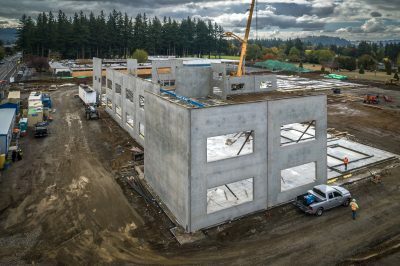 Concrete is being poured for the second floor of the facility, which will include classrooms and the North Gresham library. 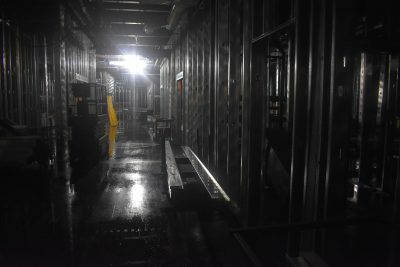 The HVAC ducts are also being installed. 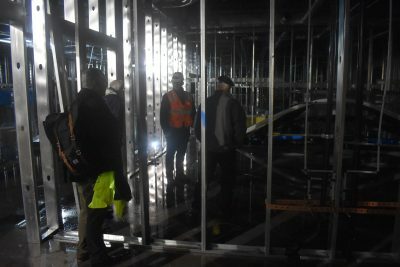 These photos below were taken when the Bond Oversight Committee visited the campus for a tour before their quarterly meeting. The tilt wall panels have been completely installed. 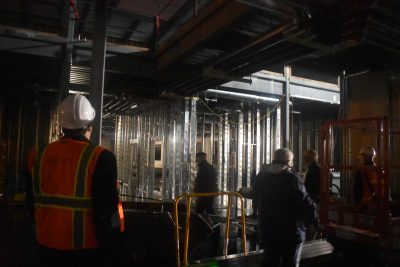 Construction crews have also finished installing the structural steel columns throughout the interior of the building. 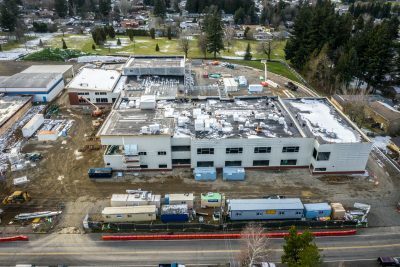 Crews are currently finishing pouring the concrete slab to support the tilt panels, and installing new roof joists and the roof deck of the building. 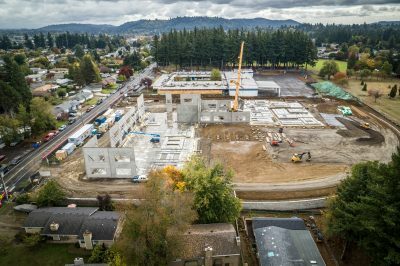 Bremik Construction has begun erecting the walls of the new North Gresham Elementary School. Check out the video below. 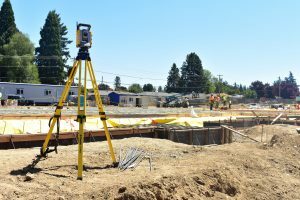 Construction crews finished building the foundation for the new school this summer. 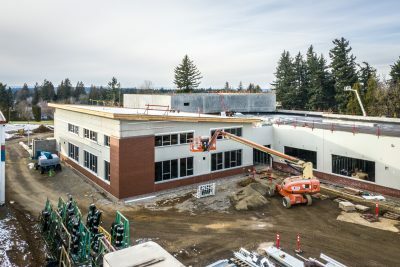 the new North Gresham Elementary school structure will be built using a tilt-up structure. 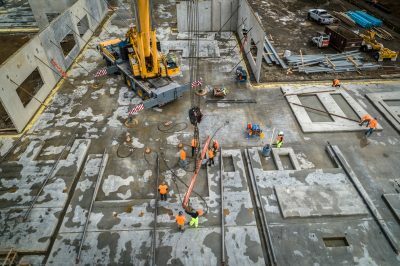 Construction crews spent this month pouring concrete into wall frames while lying on the ground, and using a crane to tilt the walls up and secure them into place. 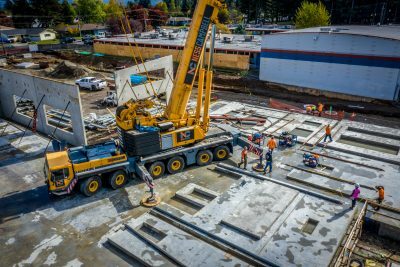 It took three days to pour all 56 wall panels. 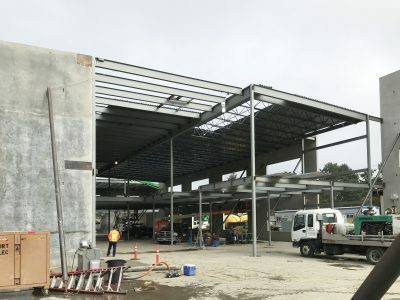 Walls are being erected this final week of October, and construction crews will begin building the steel braces that support the roof and second floor this November. Bremik Construction provided these aerial photos. 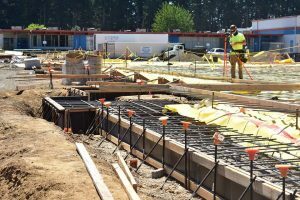 Crews have begun pouring concrete for the foundation of the new school. 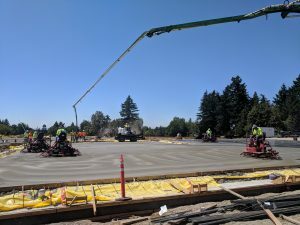 Construction crews have begun preparing to pour concrete for the foundation of the new campus. 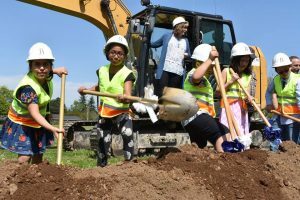 The North Gresham Elementary School community celebrated the beginning of construction on the new school with a groundbreaking ceremony. 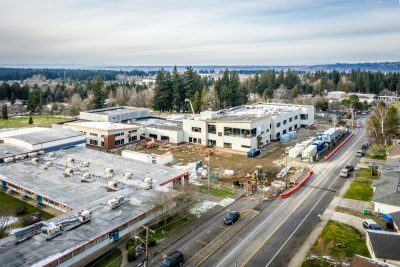 Construction begins this spring and the new building will be open to students in time for the beginning of the 2019-2020 school year. 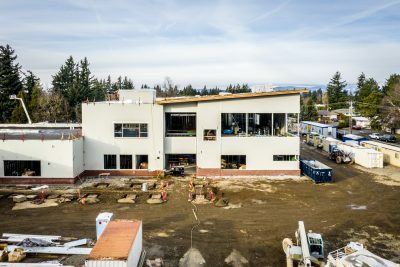 Representatives from BBT Architects provided an update of the North Gresham ES project to the Bond Oversight Committee. The slides from their presentation are available HERE. the design team convened a neighborhood meeting to review the proposed project goals, scope, timeline and impacts. 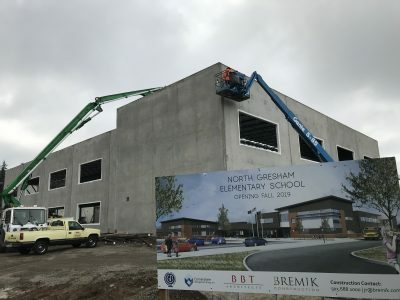 The North Gresham Elementary community will be getting an entire new elementary school in time for the 2019/2020 school year. 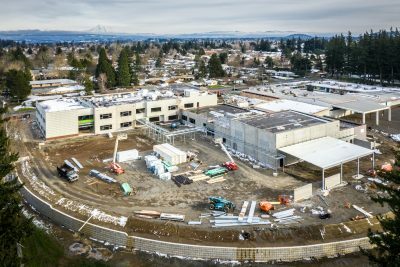 This is an excited opportunity for students, staff, parents and community to shape the future of their neighborhood school for years to come. Better Student Flow: Create a dynamic school with classroom and grade layouts the facilitates collaboration and learning. Daylight and HVAC systems: Studies have shown these are key factors in improving learning environments. Improved Learning Environment: Consistent and right-sized learning spaces with modern technology. 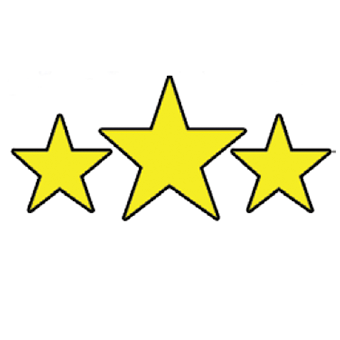 Safety and security improvements: This includes secured entry to play fields and playground as well as a secured entry and vestibule. At the request of the district, Principal Tracy Klinger convened school district advisory group (SDAT) as well as a several focus groups made up of NGES teachers, parents, staff and stakeholders to advise the district on their needs, desire and priorities for the NGES bond project. 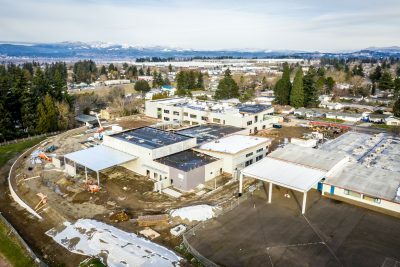 These teams have spent numerous hours working with the architects and construction management team to provide important feedback as the design phase of the project has progressed.